BCRF has proudly partnered with Cuisinart since 2007. The brand promotes our partnership through the sale of the Cuisinart Pink Product Collection, which includes blenders, mixers, ice cream makers and more. Cuisinart commits $32,500 to BCRF annually, regardless of sales, and has donated a total of $347,000 to BCRF to-date. 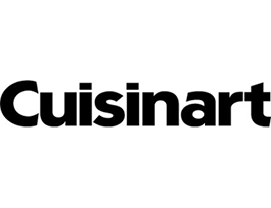 Cuisinart, universally known for introducing the food processor in America, is a leader in culinary appliances, professional quality cookware and kitchen accessories. The company’s cutting edge reputation can be seen on numerous fronts, from industry-first products and design awards to sponsorships of culinary events and TV cooking shows. Cuisinart manufactures a full range of products under the tagline, “Savor the Good Life®.” These products include cookware, countertop cooking appliances, blenders, stand mixers and coffee makers, as well as food processors, toasters and toaster ovens, ice cream makers, and waffle makers.